each side, ahead of the dribbler. the person that receives the first pass. I only allow layups. NO jump shots. 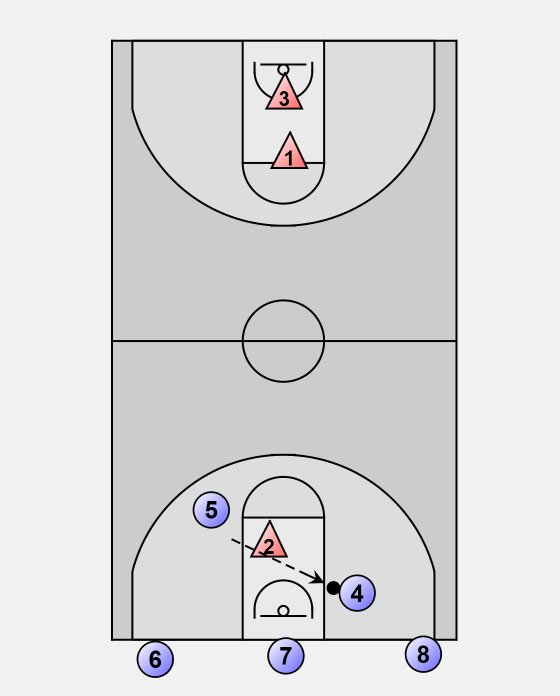 layup (Player 2) goes back to play defense. 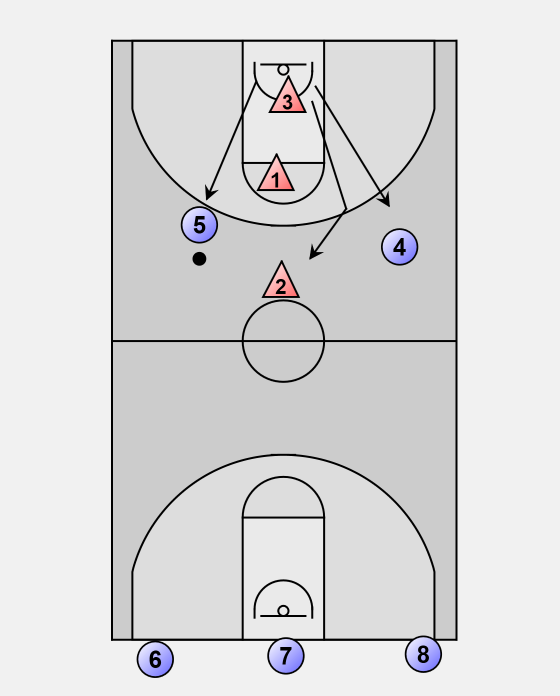 5 being on offense and Player 2 defending. 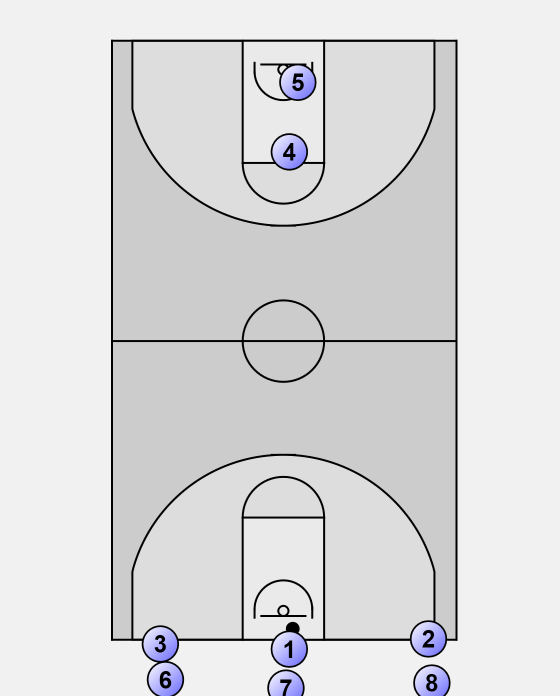 If the shot was not made and the defense gets the reboundl then the player that missed the shot plays defense. bad pass then the person who passed the ball goes back on defense. 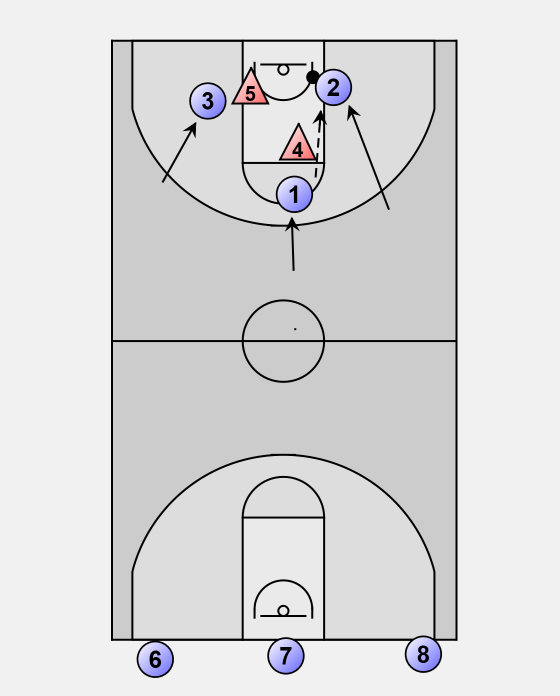 posession of the ball on offense, plays defense against the two offensive players. against the next two on three fast break. enough apart to make the defender commit). 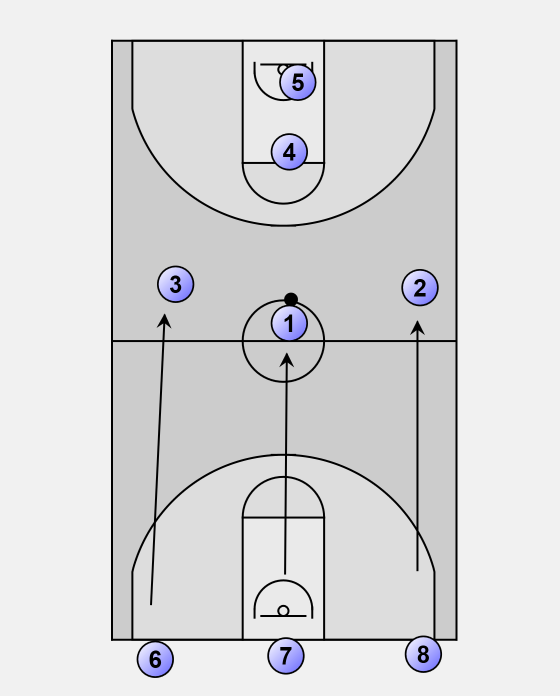 Player 5 passes to Player 4 for the layup. keeping the lines balanced with players. Guards dribbling at least to the foul line before passing for the layups. 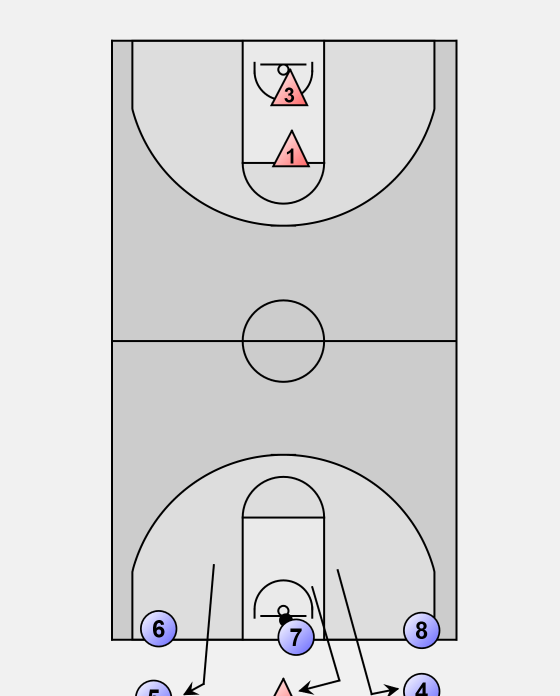 If the defense allows it, the guards are allowed to dribble all the way to the basket without passing.